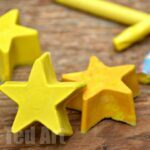 T-Shirt Yarn is a fabulous and totally underestimate material for kids to craft with. 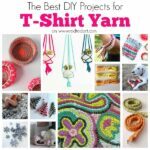 Firstly, T-Shirt Yarn is REALLY easy to make (see how to make T-shirt yarn here), it is great for all those hand me down t-shirts, that well, can’t really be handed down any more!!! AND it is like crafting with super thick and chunky wool/ chunky yarn. 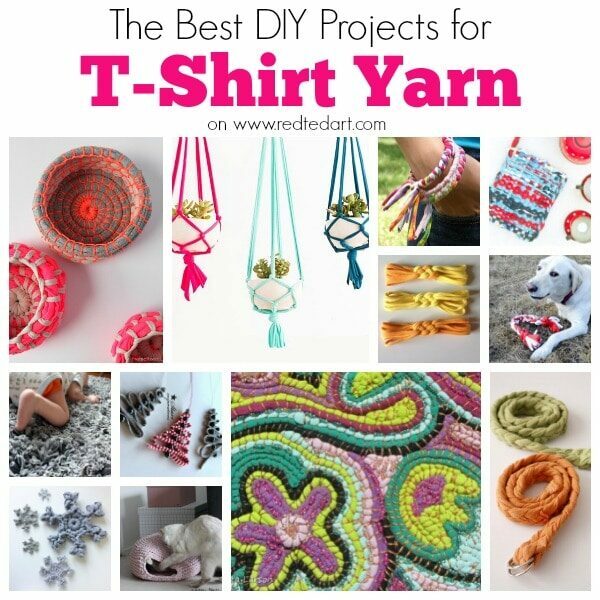 As you know, chunk wool can be expensive… whilst DIY T-shirt Yarn is FREE + a great upcycle. Anyway, I waffle. I hope you are convince already…. 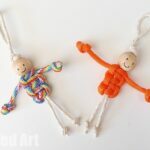 one of the easiest T-Shirt Yarn Projects for Kids, are these super duper easy T-Shirt Yarn Hairbands – they are bright, colourful, simple and practical and can be made in minutes! 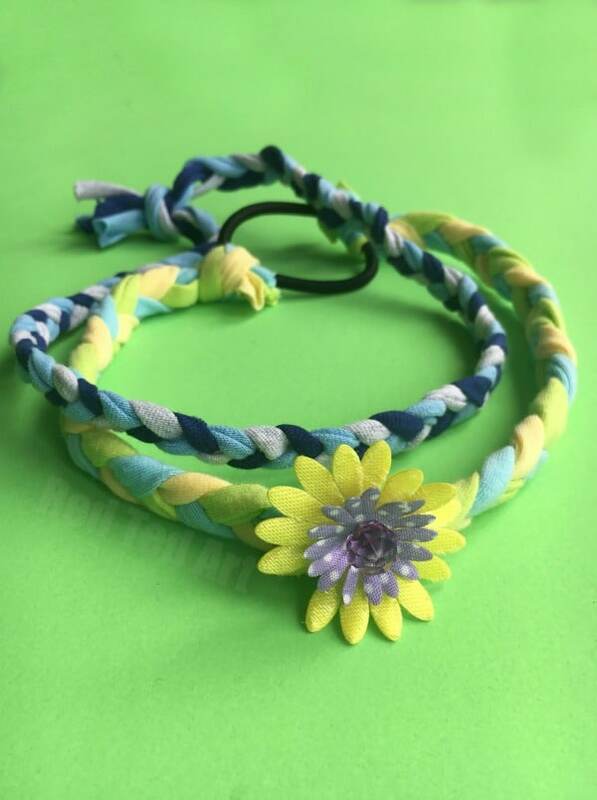 We made the dark blue t-shirt yarn hairband from my son’s school PE t-shirt that had 3 holes in it! Teehee. The yellow one was actually made by one of Pip Squeak’s friends (aged 6.5 at the time) and I thought it was a wonderful little gift to a friend. 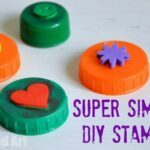 I am so pleased she did gift it, as it gave me the opportunity to share this fun and simple DIY with! As per usual, we share with you today a quick and simple how to make a t-shirt yarn VIDEO. But I have also added written instructions for you below! 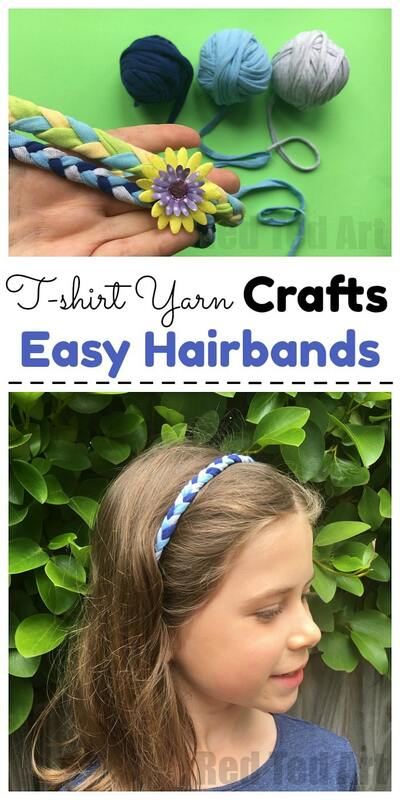 How to make a T-shirt yarn Hairband – Step by Step Instructions. 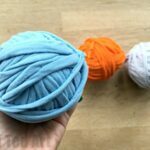 Cut three strands of T-shirt yarn in different colours – I usually use about double of what I want the final hairband to be long. 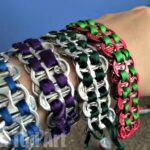 This allows for “shortening” during braiding and knotting. 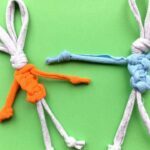 When you have reach the desired length (remember T-shirt yarn is stretchy, so it can be a cm or two smaller), unknot the beginning, align beginning and end and re-knot. Your T-shirt Yarn Hairband is finished. Variations – you can knot your T-shirt Yarn Hairband to a piece of elastic (see photo) this gives you extra stretch. 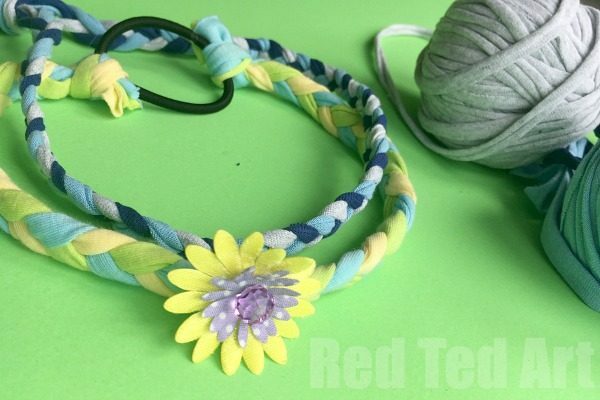 You can also add beads to your t-shirt yarn, as you braid… or sew on embellishments to your hairband at the end too. Happy T-shirt Yarn Accessory making! 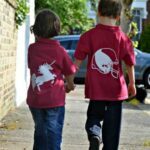 Find more T-Shirt Yarn Projects for Kids inspiration here – anything from T-shirt yarn accessories, to T-Shirt Yarn Weaving and rag rugging. So simple! Cool! I will have kids play with this next weekend! Thank you for the idea!